I’m in Chamonix, France for the summer — the heart of the French Alps. Here in the mountains, people don’t have a problem picking up raspberries off of the ground and putting them into their mouths. Mushrooms (think: chanterelles!) are a golden find. Eating stuff straight off of the trail has always seemed sketchy to me. I mean, can’t bad mushrooms kill you? So…I looked into seeing where I could learn more about what makes a plant edible and what makes it a poison. I found out about Wilderness Awareness School, a non-profit organization based in Duvall, Washington, which offers a home-study program called the Kamana Naturalist Training Program. Through the Kamana four-level course, you can learn to identify hazardous plants, edible plants, and plants that have medicinal value. You can also learn about herbalism and survival and native living skills through the Kamana program, which can take between one to four years to complete, depending on the time you devote to the task. The course materials include books, CDs, journal pads, and more. I’m still standing after eating foraged raspberries and chanterelles. But I continue to fear poison ivy. I suppose I’m a good candidate for the Kamana program, and I look forward to the day when I no longer fear those green leaves at the base of crags or wild yellow mushrooms when I see them here growing in the forest. 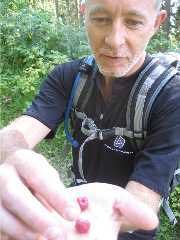 Photo: Nick offering me some raspberries from the trail. Image © [Traci J. Macnamara]. 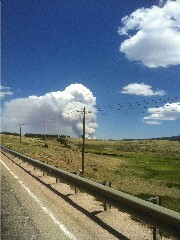 As I was driving away from a wedding on Saturday in Divide, Colorado, I saw a cloud of smoke mushrooming up from the horizon. A bomb? 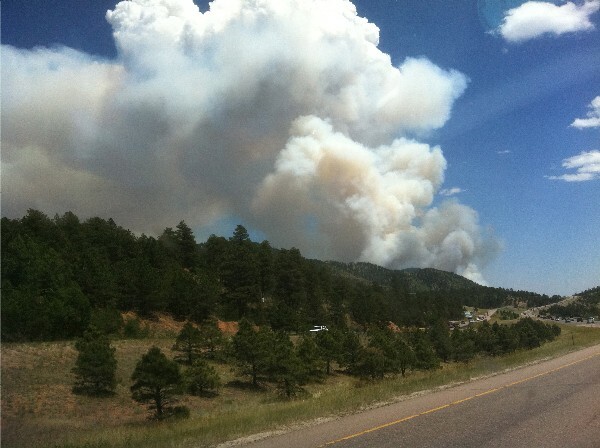 No…I remembered that it’s wildfire season in Colorado and realized that this must be what one looks like from the road. 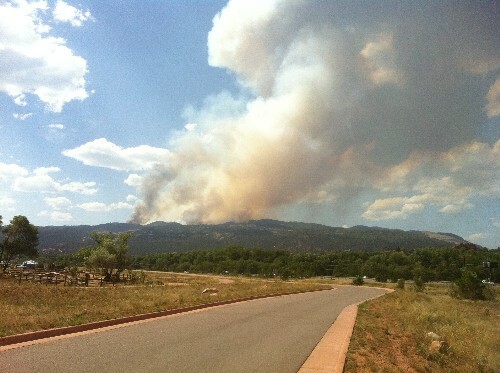 I could see the smoke clearly as I was driving down Highway 24 towards Colorado Springs. At Waldo Canyon trailhead, a place where I used to park my car and go running, emergency vehicles were staged. Firefighters in full gear were coming down the trail. I couldn’t believe that the fire was so close to a place I knew and loved. 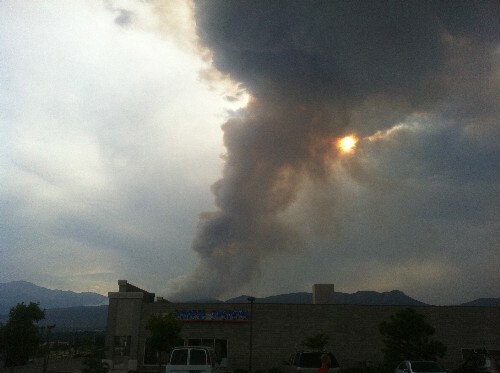 …and found out later that the fire was devouring Waldo Canyon and that all of Manitou Springs was evacuated that night.